It is clear, according to Seattle-based patient advocacy group Cannabis Action Coalition, that the Washington State Legislature will attempt to eliminate or significantly change the state’s medical cannabis laws during the 2014 session. The CAC, a nonprofit organization, is conducting a survey to identify the impacts the adopted rules and recommendations implementing Initiative 502 will have on medical cannabis patients and small businesses in Washington. 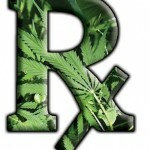 The information from this survey will be used by the group to create a report to educate the Legislature, Liquor Control Board, and members of the public on the potential effects the I-502 rules and recommendations will have on medical cannabis patients, dispensaries, medical clinics, and small businesses. Patients and cannabis consumers are invited to complete the survey by Monday, January 13, and send it on to others as well. All responses will remain confidential and will not be identified by individual participant.